HDMI, which means High Definition Multimedia Interface is the consumer standard for video interconnection and it found it’s way into the Pro AV industry pretty quickly. I’d suggest not by choice, it is a huge source of problems and frustration. Because it is a standard for consumer gear of varying capability and can incorporate copy protection, it has a lot of problems when used professionally. It is a mess! Products with HDMI first started to appear in late 2003. Manufacturers take out a licence to be permitted to use it and in the US, the FCC mandated that domestic TV’s cannot be sold without it. The HDMI licence defines the protocols, signals, electrical interfaces and mechanical requirements of the standard, the whole thing. As well as video, it can support up to 32 channels of audio, Consumer Electronics Control and on later versions, Ethernet. In order for a cable or device to carry the HDMI logo, it must be tested to ensure it meets the HDMI standard. Unfortunately though, a lot of cables come out of China that don’t bother with meeting the standard, let alone the testing. Buyer beware! 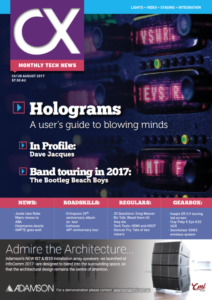 Quite often (but not always) on top of the HDMI standard is HDCP which stands for High-bandwidth Digital Content Protection. HDCP is the technology developed by a subsidiary of Intel to protect digital entertainment content from piracy. As technology develops, HDMI needs to keep up. Therefore there are incremental versions of HDMI, not unlike the way software makers release new versions of their product. Version 2.1 is the most recent version and it supports up to 10k resolution at 60 frames per second. So a V2.1 cable should always be compatible with V1.4 devices, but a V1.4 cable may not work if you are running a source that is relying on features of V2.1. As of version 1.4 which is the most common standard at the moment (which was released in 2009), HDMI has a raw bandwidth of up to 10.2 Gbit/s. This is enough for a resolution of 4096 by 2160 pixels progressive at 24 frames per second. 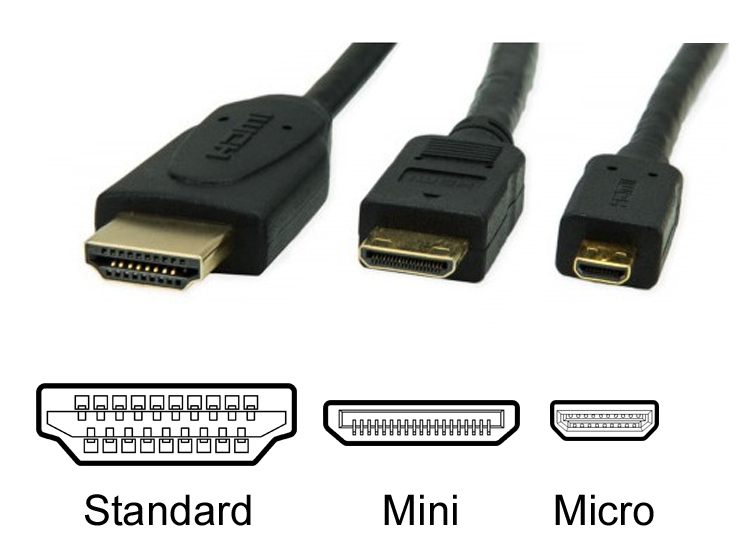 HDMI Cables loosely fit into 4 categories – High-speed with Ethernet, high-speed without Ethernet, standard-speed with Ethernet and standard-speed without Ethernet’ There’s no reason to buy standard-speed cables anymore, as the price difference is negligible between those and the high-speed versions. It is all digital so provided it meets the HDMI specification and the version is compatible with your gear, that is all you need. So a certified $15 V1.4 cable from Jaycar is going to perform exactly as well as the $90 V1.4 cable that Harvey Norman sell. In most cases, V1.4 cables is all you need. However, if you’d like to spend $1,100 on a 3ft HDMI cable to “reduce picture harshness and greatly increase clarity” please call me, I’ve got a deal for you! The cable itself has 19 conductors composed of four shielded twisted pairs with impedance of about 100 Ω, plus seven separate conductors. That’s some clever engineering to stuff in a cable that is only about 8mm thick so as you’d expect, there has to be compromises. It is impossible to make a robust cable with that much in it and expect it to stand up to the rigours of Pro AV, so they fail a lot. Inverse versions of the video data are sent over different conductors. One of these is out of phase with the other. The receiving device collects all the data, puts the out-of-phase signal back in phase, then compares it to the “real” signal. Any noise picked up along the way will now be out of phase, and as such it is effectively cancelled. Similar to how balanced (XLR) audio cables work. Cable length is not part of the HDMI standard and reliability suffers dramatically with length. Depending on the resolution, 10 metres is about the maximum useable length for a standard copper cable, particularly if it has HDCP. After that, active circuitry is required and longer cables can have repeater circuits built into them. For longer runs, fibre cables or some sort of converter is required. HDCP, which is to prevent copying of copyrighted content as it travels across connections, is a huge cause of problems. The standard actually states that it must “frustrate attempts to defeat the content protection requirements”. Yes, make life difficult deliberately! The system is designed to stop HDCP-encrypted content from being displayed on unauthorised devices which have been modified to copy HDCP content. Before sending display data, a transmitting device checks that the display is authorised to receive it by requesting the HDCP key (also called a Key Selection Vector) from the display. The source device confirms that the display is authorised to accept the HDCP encrypted content and If so, the transmitter encrypts the data to prevent eavesdropping as it flows to the display, the display decrypts the data so it can be shown. No problem if you have just a Blu-Ray player connected to your TV. Beyond that, things get really tricky fast. Say you have a source device with HDCP going to two projectors via a vision mixer and a HDMI splitter. The the source device will check that every device in the setup is authorised to accept the HDCP content. So it literally checks the vision mixer, then the splitter and then the 2 projectors. If you have a preview monitor or long active cables, it will check those too. Only after all those devices pass, will it issue the unique HDCP keys to all the devices and things should work. However, now the source device is handshaking with not just the vision mixer, but the other devices as well. Obviously the potential for things to fail is high and hard to isolate, especially with longer cables. Perhaps one of your HDCP compliant projectors fail and you replace it with one that is not. In theory, it is just that projector that should not work with HDCP content, but I’ve seen cases of the image stopping at the vision mixer, as a consequence of something being non compliant further downstream. I hear you say, my laptops aren’t displaying copyrighted content so they won’t have HDCP so I am OK! You’d think so, but some Android based devices and some later PC tablets encrypt all content at the output, regardless of whether the user is displaying simple presentation works such as a PowerPoint, or copyrighted works such as a DVD or downloaded movie. DVI Connectors can deliver both digital and analog signals. HDCP display, all good. However if you insert a HDCP compliant mixer in the circuit, you can suddenly have problems because the Mac has now gone into HDCP mode which stops the content getting to the non HDCP monitor! This is a devious problem because if you don’t know what is happening, you’d conclude that the laptop or mixer is at fault. When I run Apple laptops, I output to a non HDCP compliant device (usually a Black Magic converter) first, then run everything SDI. That way I am isolating myself from potential problems before they start, as I I have forced the Mac to not use HDCP. On PC’s, with so many brands out there, it is completely unpredictable as it comes down to how the manufacturer implemented the technology. I just stumble around until it works. I can’t see this getting easier. The interactions between devices are complex and as technology develops, will only get more complicated. Combine that with the joys of HDCP and you’ve got the perfect environment for problems. As an example, with the release of HDCP V2.0 (which is yet to make into the mainstream), it has a “locality check”. That is, if the round trip for establishing the HDCP handshake is greater than 20 milliseconds, it will fail. This is their test to confirm that the receiver is nearby. I wonder then, what could happen if a vision mixer delays an image by a single frame (40 milliseconds). Will it fail? Maybe. As technicians, all we can do is be incredibly methodical in the way that we put together our rigs and avoid letting HDCP creep in wherever possible.